Ever read an interview of a fictional character? 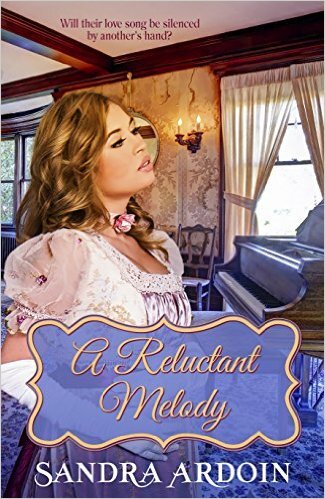 Without further ado, here’s the winner of Sandy Ardoin’s latest book, A Reluctant Melody. Dali Castillo….come on down. You’re the lucky winner! I will contact you privately to obtain your copy. While asking for blog idea among my author pals, one of them suggested that I interview my heroine in my latest book. Just like she was a real person instead of an figment of my imagination. So here goes…an interview with Nicolette (Nicki) Price of Midnight on the Mississippi. Nicolette Price, tell me the most interesting thing about you. I used to be quite a tomboy. I could swim farther, run faster, and jump higher than any boy in the neighborhood. Now that I’m a grown woman living in a sophisticated city, being a “crack shot with a squirrel rifle” doesn’t give me much of an edge with the competition. What do you do for fun? I haven’t had much fun since childhood. I’ve worked since I was 15 to help pay the bills, and then to put myself through college. Now that I’ve landed my first real job, I would like a Saturday of watching reruns of Colombo in my pajamas with nothing but popcorn and ice cream to eat. What do you put off doing because you dread it? I have put off dealing with my father’s death because I was too young and ill-equipped to do much else. Now I’m neither, so it’s high time I find out if someone else had a hand in his death. What are you afraid of most in life? Swamps! 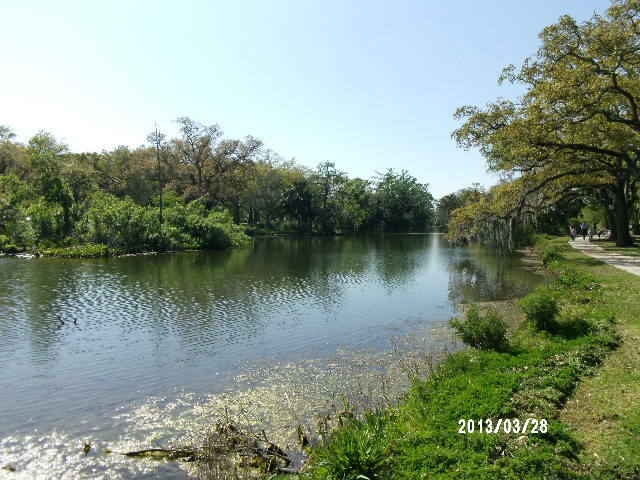 I was stranded on an island in the swamp as a prank—snakes, gators, and plenty of bugs. Luckily, my best friend got wind of the plan and paddled out to rescue me. What do you want out of life? I suppose I want what every woman wants—love and acceptance. I’ve never felt like I measured up to expectations, so it would be nice to find one other person who thinks I’m special. Do you read? If so, what is your favorite type of book to read? I love to read biographies about famous fearless women—Madame Curie, Clara Barton, Amelia Earhart, Eleanor Roosevelt. If they can rise above humble upbringings or difficult circumstances and excel, why can’t I? I gain courage to do what I need to do when I read their stories. If you could change one thing about yourself, what would it be? I suppose it would be my hair. I like to wear it long, but it’s thick and curly and looks like a lion’s mane when the weather is humid. My complexion turns a tad green when I see women with silky, straight hair that stays where it’s supposed to all day long. Do you have a pet? If so, what is it and why that pet? No, I had a pet turtle but it died. Once I had a crow that used to follow me around the neighborhood, but it grew bored and flew away. My mother wouldn’t let me have a dog because our yard was too small. I hope to one day have an entire menagerie of pets. If you could travel back in time, where would you go and why? I would go back to my childhood when my father was still alive. I’d tell him that “nobody is perfect” and that I loved him. He died never knowing how much he meant to me. Write what you know…is a quote usually attributed to Mark Twain. Twain might have been a great American novelist, but his advice better suits authors of the 19th century. What are authors supposed to do in the 21st century when expected to produce two or three novels a year? As books become shorter and faster-paced, some writers are releasing books faster than that. If as a full-time professional writer you only write about subjects you’re familiar or experienced with, won’t you run out of story fodder? On a personal level, how many stories about a schoolteacher, living on the edge of Amish country, who loves gardening, animals and American history will readers tolerate? Perhaps more practical advice for this day and age would be: Write about what fascinates you, or perhaps the person you hope to one day become. I have reached the stage when retirement isn’t a distant pipedream. As much as I love Ohio, winters have grown intolerable. My husband and I are determined to live three or four months of the year in the warmer and sunnier South. Recently we’ve combined our quest for inexpensive spots to “snowbird” with my new mystery series. 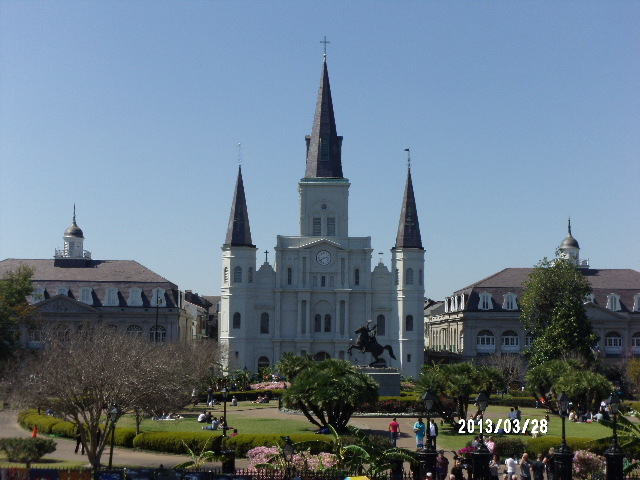 The setting for my first story was easy…New Orleans, a city we visited while family lived in the area and many times since. After several stays in Cajun country I was playing the washboard with spoons and cooking gumbo from a roux. My second mystery, What Happened on Beale Street, allowed me to indulge my love of the blues while researching Memphis and the Mississippi delta where rice and cotton fields stretch to the horizon. For my current work in progress, I prowled the streets of Natchez, a charming town overlooking the mighty Mississippi where the police captain turned out to be the nicest person I ever interviewed. As we check out new places to live, I’m discovering wonderful spots for fictional dead bodies to wash ashore or characters to go missing. If you’re looking for new story ideas, why not consider places you’ve always wanted to visit? Start with research at your local library and on the internet. Then create the characters of your dreams. Maybe you can give them the talents you always longed to have. Your enthusiasm will turn your story into a page-turner readers can’t put down. And just think…when you visit the area to tweak the details, your trip becomes a tax deductible expense. Sounds like a win-win situation, no? 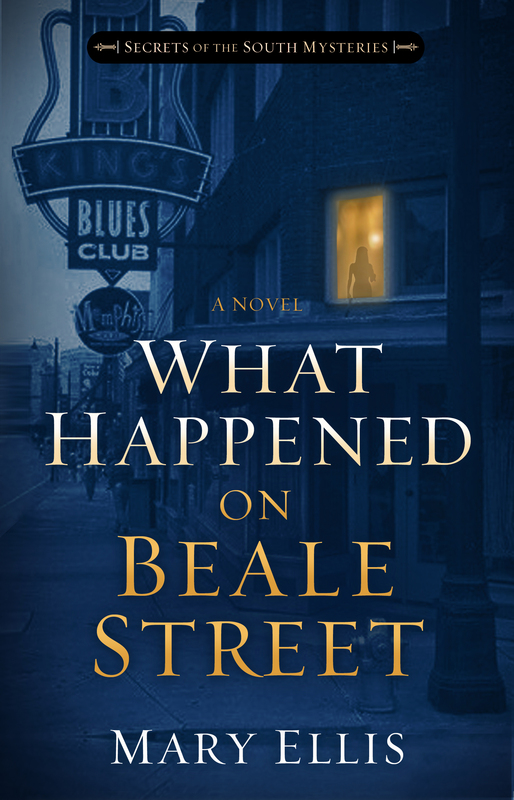 What Happened on Beale Street , book 2 of Secrets of the South Mysteries, releases in late March in print and April 1st in electronic versions in bookstores and online everywhere. 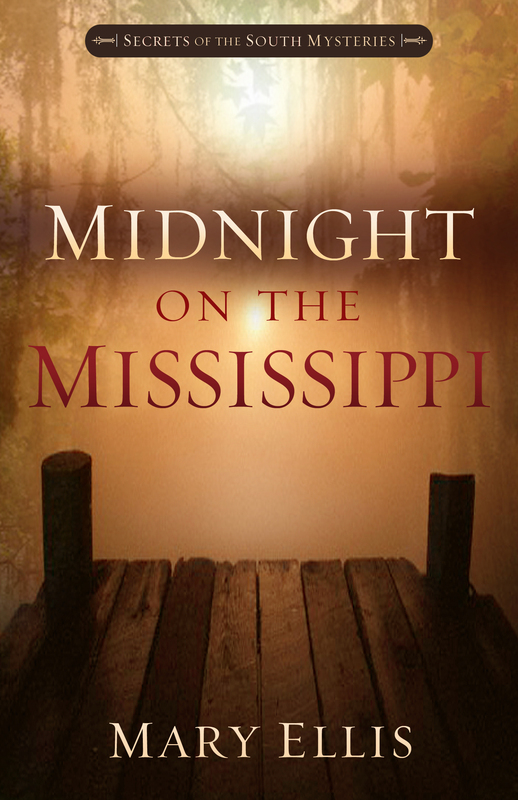 Book one, Midnight on the Mississippi from Harvest House Publishers is available now. After a youth filled with tragedy and upheaval, Sarah Miller’s life is finally settled with all echoes of the past silent at last. She happily calls Sanctuary her home and spends her days teaching at the local school. Sarah’s joy at her recent reunion with her sister, Hannah, and meeting the niece she didn’t know she had is too soon interrupted when Deputy Sheriff Paul Gleason informs Sarah her sister has been killed. As she learns more about Hannah’s death, the circumstances are eerily similar to their parents’ murder. Sarah enlists Paul’s help in digging deeper into the murders the police are dismissing as burglaries gone wrong. Paul’s concern encourages Sarah’s growing feelings for him, but as their investigation peels back the layers of lies almost twenty years old, they get close to uncovering the truth one person will do anything to hide–even if that means coming after the last remaining members of the Miller family. 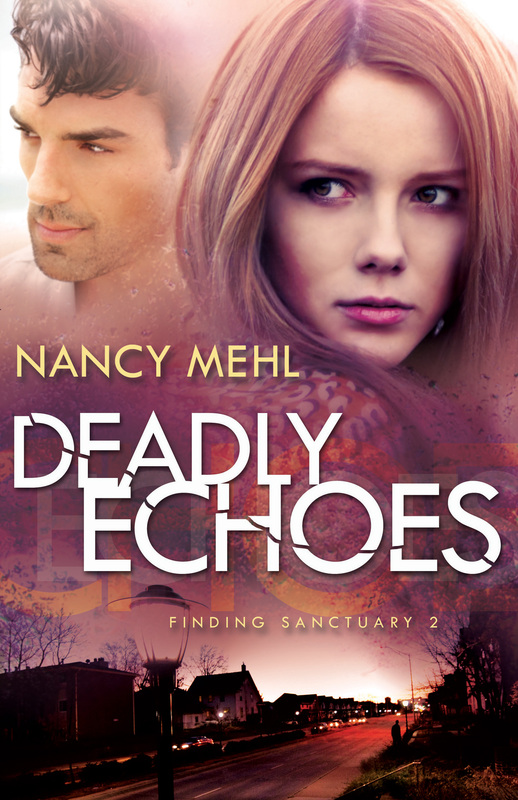 What are you working on now: I’ve finished writing the third book in my Finding Sanctuary series and am awaiting editing notes from my publisher. Rising Darkness will be released in late 2015. I particularly love this book because it brings back a special character from a previous series. Sophie Wittenbauer, a teenager in my Road to Kingdom series, was a troubled girl searching for her identity. After the series ended, I couldn’t shake the feeling that I’d left Sophie’s story untold. I approached my wonderful editors at Bethany House, and they allowed me to move her from Kingdom, Kansas, to Sanctuary, Missouri. I hope my readers will enjoy finding out what happened to Sophie. I’ve also been writing cozy mysteries for Guideposts and am beginning my third book for them. Along with some other incredible authors, I’m working on a delightful Amish cozy mystery series that I am certain readers will love. 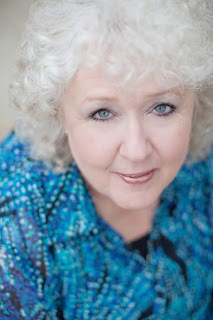 Today I am welcoming fellow Ohio author Heidi Glick to my blog. Heidi has written an intriguing romantic suspense that is so my cup of tea! Here’s a short summary of Dog Tags: When disabled ex-Marine Mark Graham reconnects with his best friend’s sister, he finds himself falling in love. But Beth Martindale’s presence is a constant reminder of events he’d rather forget. Mark wants to move forward, but the secrets surrounding her brother’s death as well as his own confinement to a wheelchair threaten to tear them apart. When a psychopath who calls himself The Knight fixates on Beth, Mark is determined to give her the protection he failed to give her brother on the battlefield, yet he discovers that a wheelchair isn’t the only impediment he has to keeping Beth safe. Will terror win or can Mark find the strength of mind and body to rescue Beth and find his own redemption? What provided the inspiration for this story? I wanted a villain with certain weaknesses that might help lead to his demise, but at the same time, I wanted the villain to be able to capitalize on the weaknesses of the hero. Also, I wanted a strong female as my heroine. I used my husband as part of my inspiration for my hero. My husband is quite the history buff and can spout off trivia facts at random. Also, one of my dogs served as the inspiration for the dog in the novel. And like the heroine, I’m a free spirit. What are you working on now? I’m working on a Dog Tags sequel, a romance novella, and a new suspense series. Heidi Glick has a B.A. in biology, a minor in Bible from Cedarville University, and a passion for writing Christian fiction. 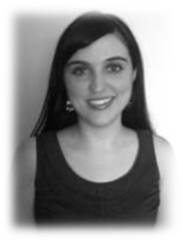 She has over seven years of technical editing experience, a certificate in technical writing from Cal State University, Dominguez Hills, and is working towards her Master of English at Utah State University. Additionally, she is a member of American Christian Fiction Writers and has written two articles for Intercom. When not working, Heidi spends time with her husband, son, and two dogs, Cocoa and Sparky. She attends Grace Chapel in Mason, Ohio. Please leave a comment for Heidi to congratulate her for her first published book. 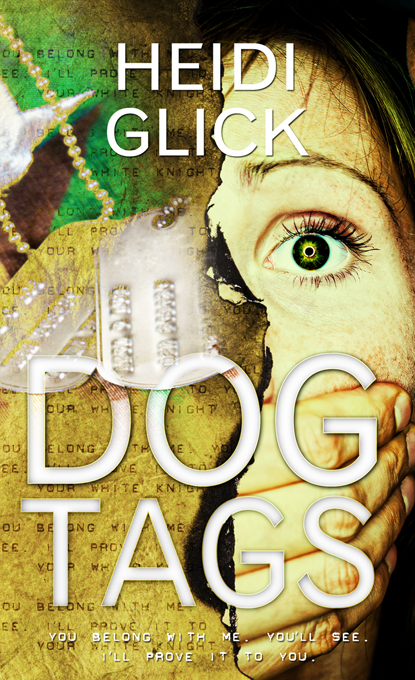 I will draw one luck winner next Monday to win a copy of Dog Tags. Fellow Ohio author, Lillian Duncan, has a new book out from White Rose Publishing called Persued. of books she loves to read, suspense with a touch of romance. 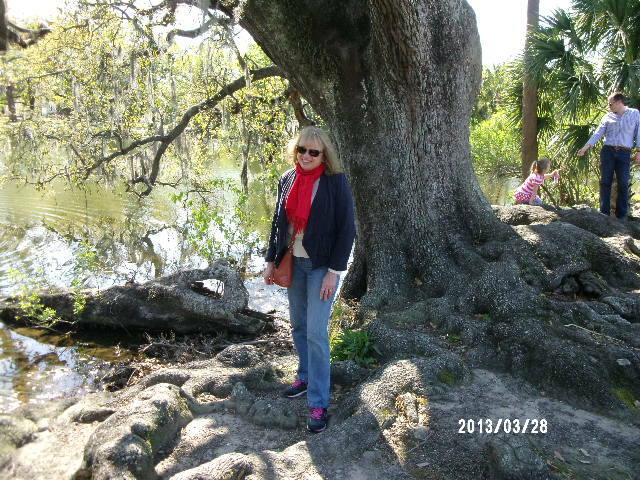 Along with writing novels, she writes devotions for ChristianDevotions.us. Previous novels include SHATTERED and IN A CORNER OF HER HEART. I started writing that day and I haven’t stopped since. HOW LONG HAVE YOU BEEN WRITING AND DID YOU EVER FEEL LIKE GIVING UP? I started writing 16 years ago when I was 40. Yikes, that makes me so…never mind. And absolutely, I wanted to give up many, many times. And in fact, I did give up many times but I always started up again. I don’t know any writer who hasn’t felt that way. The uncertainty of becoming a published writer can be frustrating and overwhelming at times to say the least. But if being a writer is your dream, you have to keep writing and waiting…and waiting…and…..
HOW DID YOU COME UP WITH YOUR TITLE-PURSUED? The original title was Just An Old Country Boy but that didn’t sound very suspenseful so I changed it to Pursued. In the story, Reggie is being pursued by an unknown killer, by the hero, and by God, so it made sense to me as a title. TELL US SOMETHING ABOUT YOUR HERO AND HEROINE? My hero, Dylan, is a good old boy with a heart of gold who just wants to make life better for everyone around him. He’s sweet and kind, but in a very manly way! Reggie can be a little difficult at times, but she has her reasons. You have to admire her for all she’s overcome in her life. IS THERE A MESSAGE IN YOUR NOVEL? One of the messages I want people to get is to be open to learning from, developing relationships, and loving people who are different from ourselves. God made us different for a reason. And one of the reasons is it makes life a lot more interesting and fun! I am, of course, a bookworm and my husband is an outdoorsy sort of man who likes to fish and garden and do other things that gets his hands dirty. In many ways, we are very opposite of each other, but together we have a wonderful and fun marriage. action. Along with that I’m working on three other manuscripts in varying stages that will hopefully become books in the future including a sequel to PURSUED. THE HARDEST PART OF WRITING A BOOK? I love writing and rewriting my book but…after about the eighth or ninth time, it’s gets a bit tiring. first book I had critiqued with the large critique group from ACFW (American Christian Fiction Writers). Critiquing is a very humbling process. In the beginning of the critiquing process, I thought the others didn’t know what they were talking about. By the middle, I thought I should give up writing forever. By the end, I knew I was a much better writer than I’d been at the beginning. And the proof is that this became my debut novel with a traditional publisher.